Henkel offers a comprehensive portfolio of tailor-made solutions for the industrial customers and high-quality consumer and professional products. Their global team of experts partners with customers to deliver best in class service. Their powerful innovations and leading technologies under top brands, such as LOCTITE create sustainable value for the customers. As the world leader in adhesives, sealants and surface technologies Henkel provides global sales and technical customer service to manufacturing industries around the world. Henkel instant adhesives to pressure sensitive adhesives tape, structural adhesives to threadlocker adhesives, their products deliver optimal adhesion, convenience and reliability. They offer environmentally friendly, patented technologies to deliver optimal adhesion, while providing the customer an attractive and reliable finished product. Henkel sealants are used to seal a surface to prevent passage of a liquid or gas. 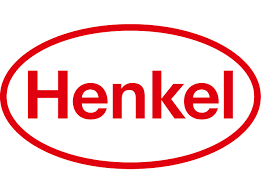 Henkel innovative industrial sealants are the result of consultations with industry experts and the company’s analysis of real-world production environments, the company’s clean-running, efficient sealants increase productivity and save money.